Pirate Doom started back in mid-2012, and what a long way we've come, baby. 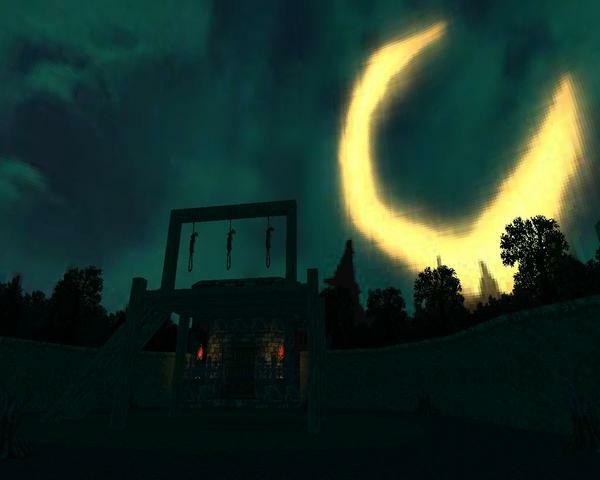 "D" Arch got the ball rolling with some humorous sprite edits and a few levels and developed the thing into a full-blown GZDoom TC, which saw its major final touches in 2013. Every monster you know from Doom II has undergone some fantastic work to fit them into the Pirate pantheon, from the lowly zombiman to the strapping Cyberdemon, and all the action plays across a wonderfully varied 18 or so levels, giving you plenty of time to get intimate with the changes as you swash and buckle your way through a brand new adventure. There's one tiny problem - Arch forgets to get the ball rolling with any kind of story blurb. So, here goes. You're a pirate, of course, and a damned good one or you wouldn't be able to stomach the task so brazenly set before you. All your pirate friends turn into even more blood-crazed lunatics or foul beasts before your eyes, then attempt to mutiny the old-fashioned way - murder. Step one is saving your own skin, of course, but what you really need to do is find the source of the demonification and put an end to it. Your fellow pirates may not have been the most personable lot, but you're sort of fond of some of them... Just hope that you don't meet them on your way to the origin. Pirate Doom is great fun. There's a comical tone running through the whole set, beginning with the voice clips uttered by the transmogrified zombies and the way the imps' hats fly up into the air and then floppily float back down to the ground, never mind goofy stuff like the braided pain elemental beards or the peg-legged Cyberpirate. 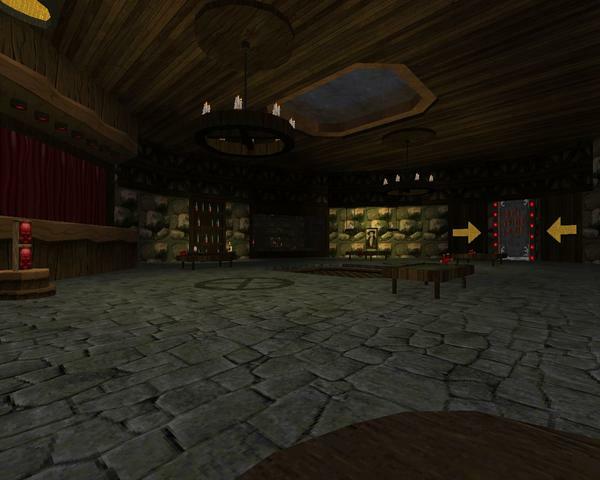 Like Duke Nukem 3D, there are a number of jokes built into the levels themselves, some of them I'm sure being more apparent to fans of the Monkey Island adventure game series, which the mapset undeniably draws from. I mean, LeChuck is the final boss, not that anything you see hints at his existence. Monster behavior doesn't differ much from the original, but there are some quirks you'll pick up as they are introduced to you, one level at the time. What's more important is figuring out what the new weapon loadout means to you. Arch actually strikes a new balance, where the pistol is a pretty good weapon at taking out zombies, imps, and demons, though I think the imps have been nerfed a little bit. You can get a dual-pistol powerup, too, and that's not the chaingun replacement, which chews through bullets at a phenomenal rate. The shotgun / SSG replacements are as dependable as ever, as are the plasma rifle / rocket launcher, both of which use the same ammo, interestingly. The BFG has been replaced by TNT, which is a little unwieldy at first, but you'll get the hang of it. One of the biggest changes - the berserk makes your first alt-fire cutlass swing a lunge. Could be neat as a dodge tool, I guess, though I never used it as one. Edit: As of 1.7 there's a dynamite gun that lets you unload dynamite at a rapid pace, with the alt-fire dumping three at a time. It's got plenty of bang for your buck. 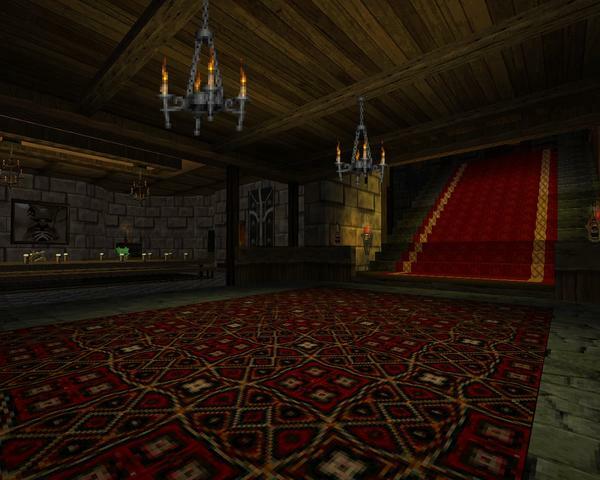 Arch's level design starts out kind of rough but gets progressively better as more monsters are introduced. The sheer novelty of your situation carries you through the serviceable opening levels. 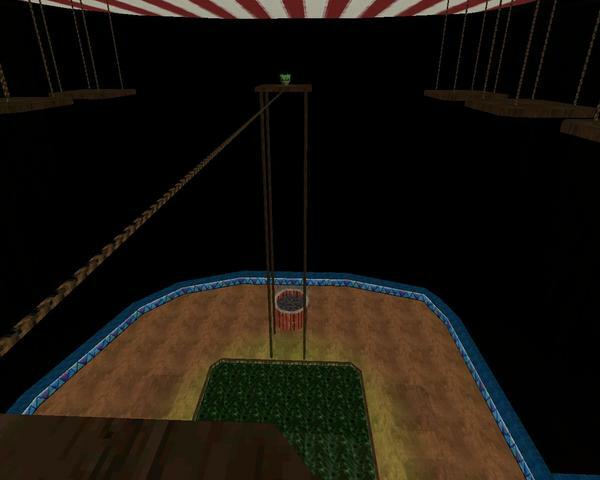 There are a fair number of gimmicks, especially in the circus level, all basically playable. The run of the last four or so maps is solid gold, not that I'm badmouthing the great fun that comes before. There's also some cut content, if I'm not mistaken, but I'm sure it's for the best. 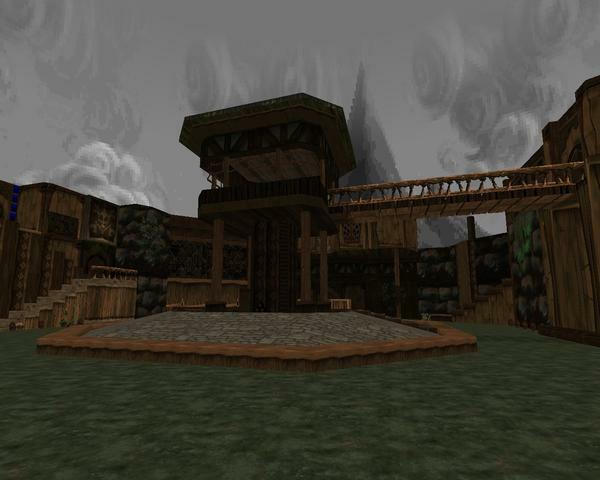 I just wish that someday Fistful of Doom gets the same treatment, a feeling triggered by the ghost town feel of "Booty Bay"'s opening. Any Doom theme done this well is a sight to behold. 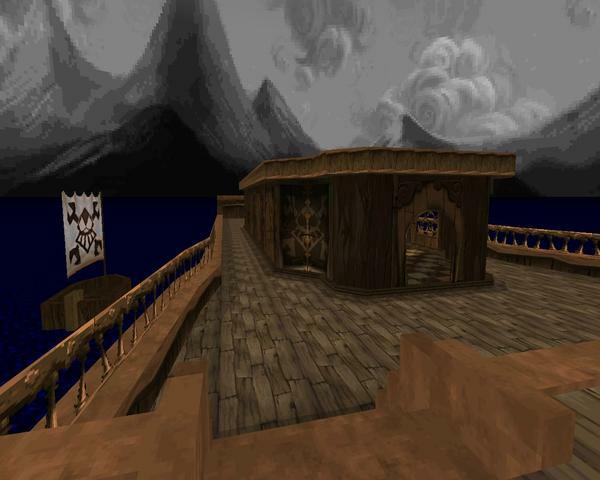 Better yet - Pirate Doom occupies MAP41-59, so you can load it up alongside pretty much any reasonable mapset and have a ball killing scurvy dogs after a quick IDCLEV. If you don't want to play Pirate Doom, I don't know what to tell you, other than sorry. You're really missing out. It's fun. It's farcical. It's frantic at times. I have no idea what Arch is planning on making next, but if he approaches it with anywhere near the amount of care he has put in this, it'll be knocked out of the park. Short but fun. Your boat's under siege by imps and other bilge rats and you've got to swab the decks. Nothing's very threatening with all the health available and the pistol is very good at taking down both zombies and imps post-haste. Plenty of secrets here, too; there's no excuse for falling down drunk. The captain's asides work pretty well. Why, yes, there is a ton of treasure here. There's even a treasure hold the pirates try to kill you in by flooding you with gold. 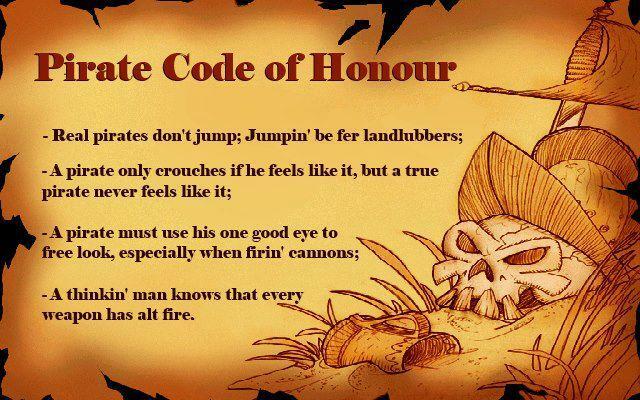 You'll also get to cross a mine cart track while you gun down more demons, imps, and scurvy dogs. It's a bit more naturalistic of a setting with waterfalls and even some foliage here and there. I actually got a little scraped up, too... Nothing bad, but Arch throws a few ambushes your way that stray from the more relaxed gameplay you've been getting. Very fun. Truth time: Deep, dark water scares me right through. Good, semi-creepy fun. The inclusion of the cheep-cheeps plus the Mario Bros. ghost music (which is a bit too soft to fully appreciate) gives it a winking edge keeping in comedic tone. The ghost monsters are another nice touch; there aren't many, but Arch isn't afraid to flood you with nasties to put your back against the wall, not that you can't deal with a possible dearth of ammo with your trusty cutlass. The "boss fight" is quite nice, though I'll admit I was fully expecting the debut of that particular monster. Arch takes things up another notch with this large, open bar. It's got tons of shootout potential, plus it's got revenants and hell knights mixed in, the inclusion of hardbodies being a welcome step in difficulty. 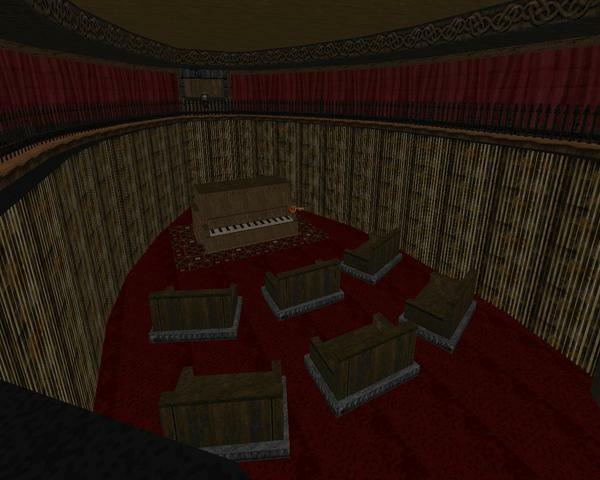 It's also got a few gimmicks, like the blue key roulette (or not as I got the key my first try) and the finale, which pits you against a motley band of foes while their myriad fans teleport in to give you Hell in a good ol' endurance fight, all the while "Highway to Hell" plays out. Great stuff! A very silly - and actually kind of hard - level. It's loaded with gimmick fights; about the only one that isn't really a gimmick is the freak show, which puts you through a gallery of laughably lame sprite edits (compared to what you're fighting) before sending you back down the way you came with the corridor full of monsters. Some of the sections, like the trampoline and the conveyor belt loop, are really annoying, and others are fairly clever. I loved the magic trick fight where you've got to figure out how to stop the imps from respawning out of control. 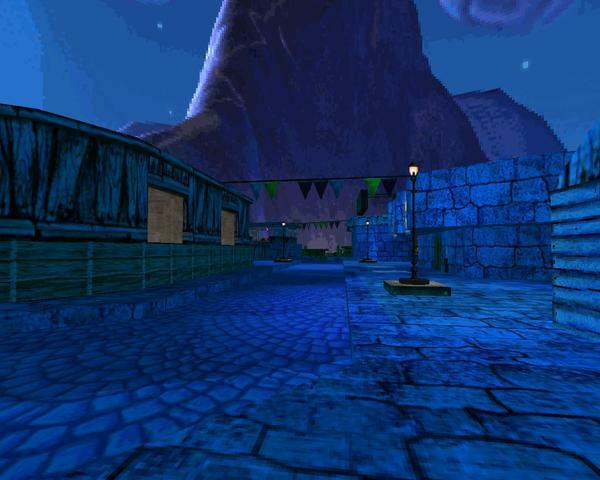 Like "Melee Island", this is another city-ish level, but it's got more of a wild west theme...at least in the beginning, a fact hammered home by the shanty rendition of "Ghost Riders in the Sky". 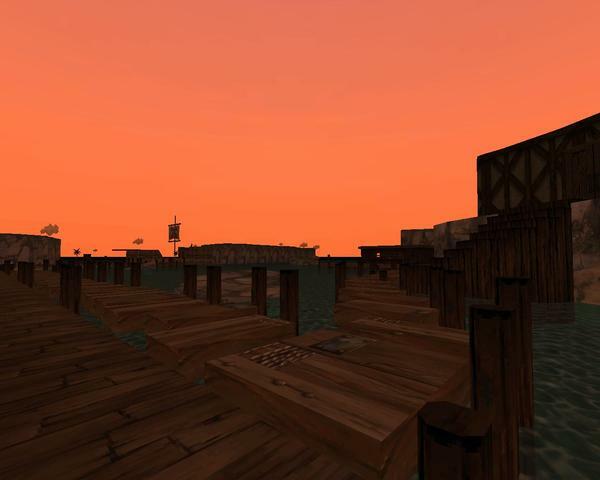 The opening is thus a proper shootout before easing into some nastier projectile-based firefights, the first of which can be allayed with an invulnerability sphere, the second dangerous mainly because of your limited real estate on the docks. There are some good skirmishes here and a nice surprise in the bank. 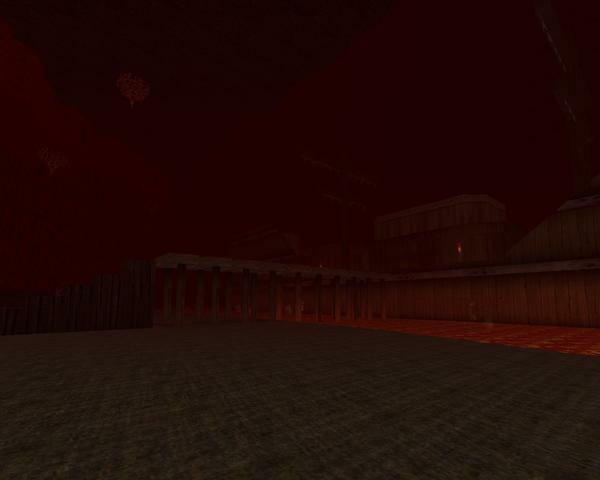 This level was added in the 1.6 update. A nice bridge between the short, gimmicky "Battleships" and what follows. It's another settlement, but done in the style of a seaside fort, Spanish or what have you. Imps and zombies dominate the proceedings, with the most dangerous being somewhere between chaingun snipers, free roaming lost souls, or one particular revenant sniper. The layout is pretty clean and doesn't feature quite the interactivity of some previous levels, not that there's a whole lot to see or do in a gun fort... Besides grabbing the cannon off the battlement to kill some demons, of course. Nice and fun. Something different... 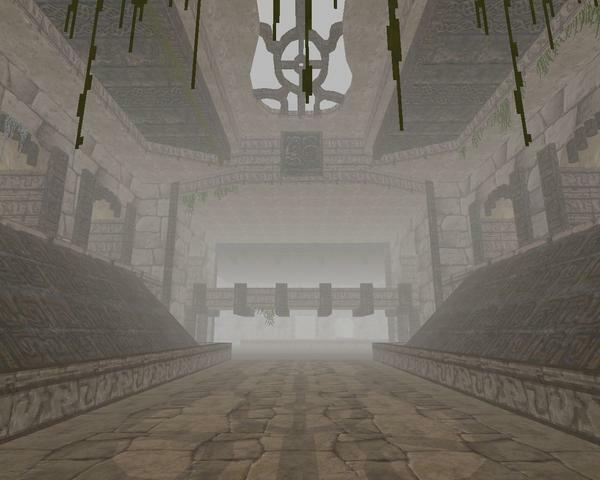 It's a big ruins level with an atmospheric intro and a bunch of vile little pygmy people running around. They're fast, flimsy, and flummoxing, as their poison dart attacks are almost quick enough to be hitscans. It's pretty cool to explore and you'll get to visit all the haunts where the natives have been shooting at you from and even get a few encounters with the brand new arch-vile, decimating him with Pirate Doom's plasma rifle equivalent. Very neat. Drops you into Hell, basically, for a glorified Cyberdemon boss fight. You'll want to raid the bridge for the cannon before you do the main shootout and take out most of the floaters while you're at it. The less distractions for your brawl, the better. I'm not sure what the gate behind you is - a bit of cut content? Starts out in a graveyard with the rising dead before moving on to goofy Halloween-ish stuff like a gallows and a cabin steadily invaded by more ghost monsters. Most of the end is taken up by a huge hedge maze. It's not very mazey because the hedge real estate is actually fairly narrow, but it's still a hedge maze, if better than most I've seen. The combat is corridor extreme once you're in but the rest, like the assault on the cabin, is pretty neat. Fun stuff! 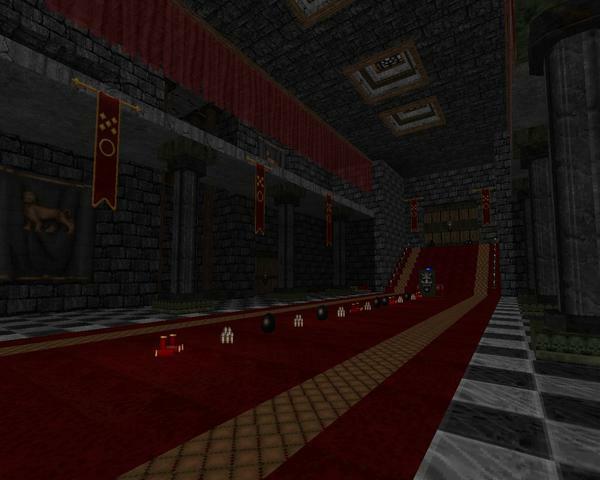 A very cool castle level with some traps, a dungeon, and ramparts from where enemies fire down upon you. It's positively thick with monsters, a lot of which are concentrated in a ridiculous tunnel full of imps that you'll immediately turn your freshly acquired gatling gun on. It also marks the appearance of the baron, who is thankfully distinct from his hell knight brethren when it comes to his appearance. Also a very cool moment with the piano room and its phantom audience listening to the ghostly player - excellent. The initial shootout in the main hall is a great firefight. 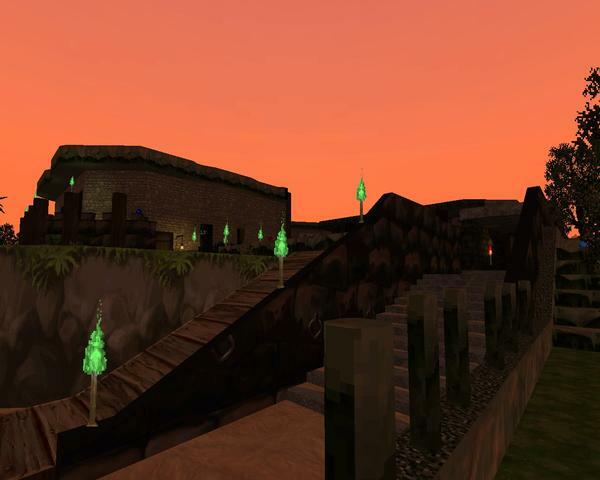 This level was added in the 1.7 update. It's Arch working at the peak of his craft, making another level like "Plunder Island", in that the aesthetics and architecture are solid and the enemy placement is pretty tricky, creating a lot of open-air combat. The barons and imps and zombies up at the highest point in the fort will do a good job harrying you as you pick off the stronger opposition on the way, like those arachnotrons that crop up here and there. The dynamite gun is pretty handy but tricky to grab, at least until you figure out how the crate puzzle works. 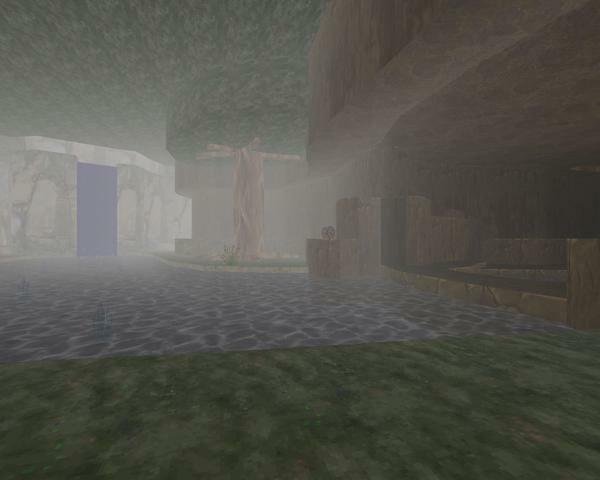 This level was introduced in the 1.8 release. 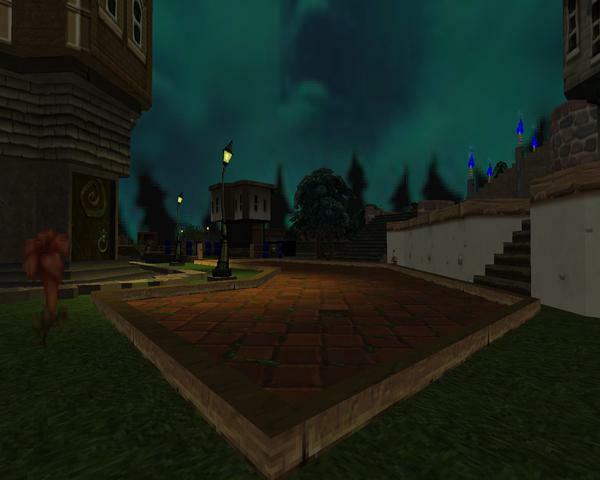 It's a fun, tricky map that takes all the polish of the later entries and mixes it in with the gimmicks that defines the earlier levels. The combat is very claustrophobic at the onset and never really lets up; it's dense with fiends, including a bunch of arch-viles, and understandably so. Thankfully, Arch sees fit to work in the dynamite gun again, and you can go hog wild with it, wasting tons of monsters and even air juggle a Cyberdemon if you're lucky. 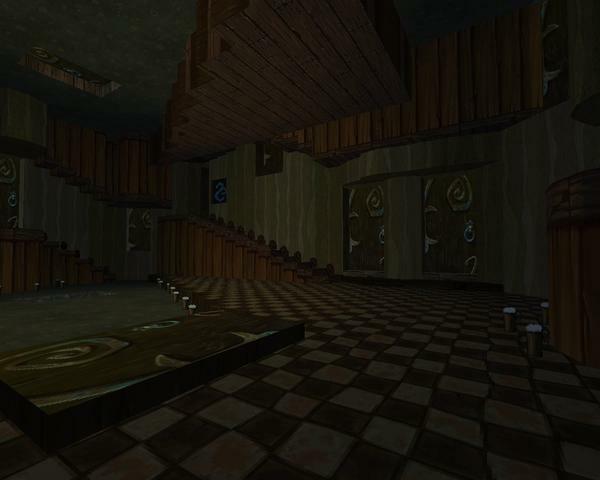 All of the silent teleporter shenanigans are rad cool, with the Escher-esque door room standing out in particular, though I bet you could milk it for more orientation mix-ups with the way some of those doors are laid out. Those mouth doors are pretty cute; the old man tree and the underground bit following it were a nice break from the wild outdoors stuff. It took awhile, but Pirate Doom finally got hard. That shootout on the river isn't anything compared to the actual assault of the eponymous stronghold, which introduces arachnotrons and mancubuses, the latter of which are used surprisingly well. The major areas also have a peanut gallery you'll have to contest with, staffed with imps, zombies, and the occasional revenant. 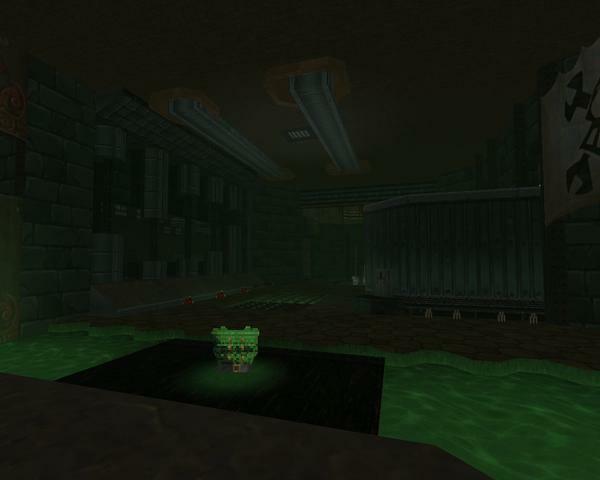 It's a pretty simple level with an intricate looping construction that puts you knee deep in monsters... Fun and frantic. 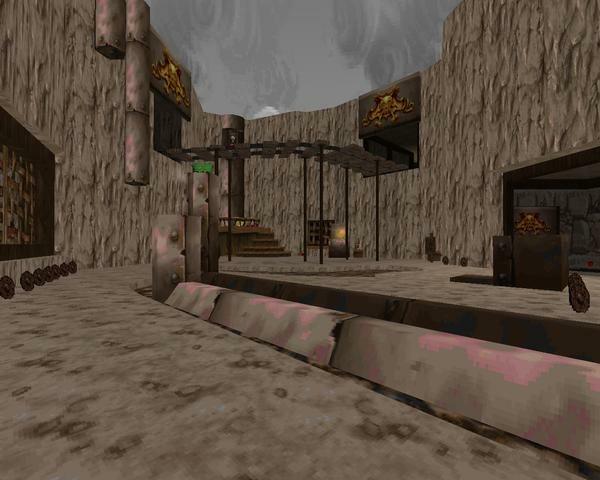 This level has a nice industrial layout that finds the perfect way to work a nukage level into the swachbuckling theme. It's dense with enemies and exploding barrels, the latter of which shouldn't bother you. It's more avoiding death by mancubus or arachnotron, especially in that piping area where you can get ganged up on. The real treat is the finale, though, an all-out brawl against pretty much everything you've seen so far, plus a new buddy, in an arena format that's actually kind of engaging. Fantastic! 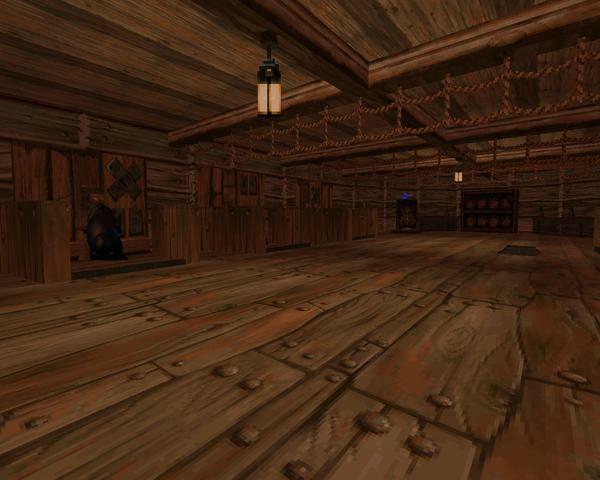 LeChuck's mansion is pretty big and staffed with all kinds of sundry beasts, all of which you've seen so far. Even some ghost varieties manage to make an appearance. The action tends to be blunt, with some areas like the pygmy room only manageable with the handy invulnerability powerup. You'll see the dread pirate before the main fight, but he sends you back to an incarnation of your boat that's got some bigger bads hanging around on it, leading up to a tricky Cyberdemon fight. LeChuck himself is a multi-stage boss fight that isn't hard to figure out. The rocket launcher works the fastest but you'll want to use different weapons on his varying incarnations as they're more or less easier to hit. Risk vs. rewards and all that. A fun little roundup with the cast from Monkey Island. I grew up in a Sierra household myself (except for the wonderful Loom), but I know Guybrush and the gang when I see them. HI!! 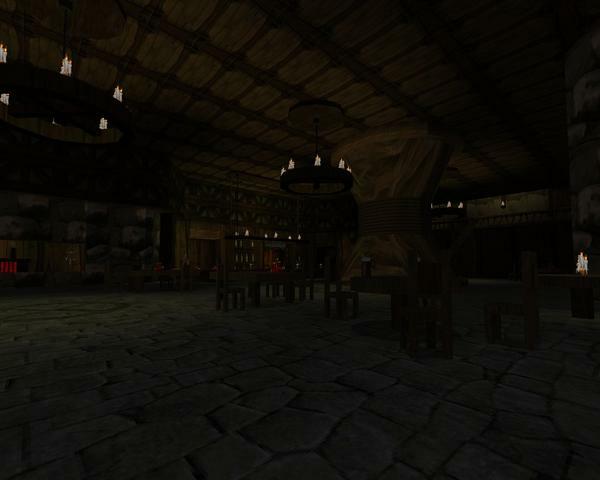 I tried to play it in Zandronum, but it doesn't work for me. Only GZDoom? 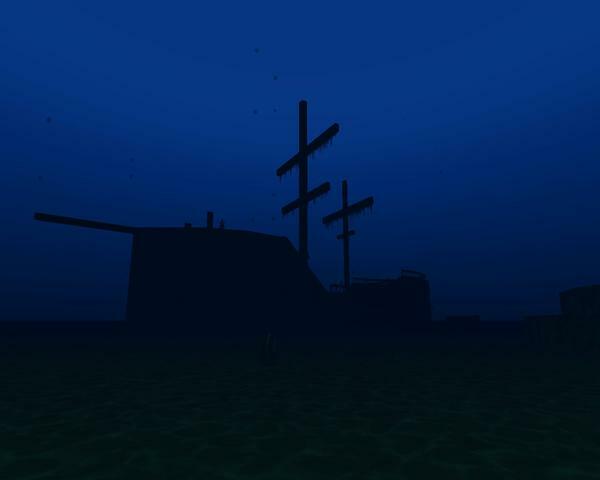 Yes, Pirate Doom only works in GZDoom, as far as I know. I had to! Funny that the addition came right around the time the review was originally posted XD Keep up the great work! Unique, and very well done at that. Ahoy, Captain Darch! Wow! This WAD is very well made. From the atmosphere to the blood splash effects makes this very enjoyable. I hope "D" Arch makes more in the future. Again, outstanding! If Fistful of Doom Reloaded is being made by "D" Arch, I know it will be very good. I can't wait to try it out. I was wondering if anyone found or posted the secrets in the game. I missed some and was hoping to find somewhere that showed where they all were. 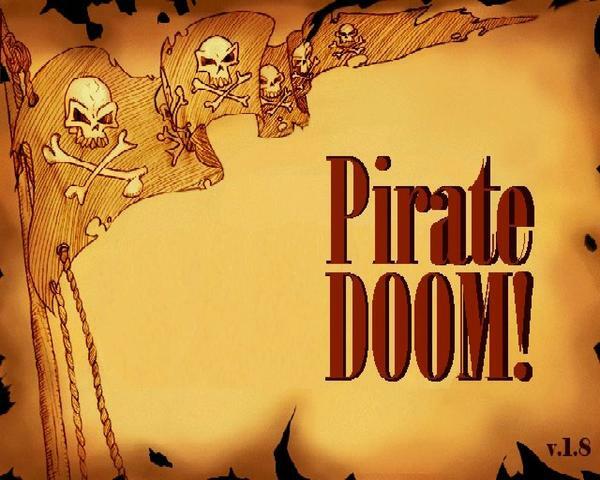 Doom + Pirates = PURE AWESOMENESS! That music fits well too. One of the best partial/total conversion mods around. Awesome! Congratulations for the review, i found it soo useful, i'll certainly play it in the future, all the splashes and guns remade, the level design, and the most important, DOOM WITH PIRATES!